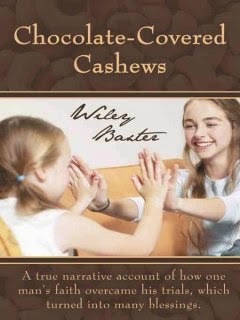 Chocolate-Covered Cashews caught my eye because I thought it was going to be about the big surprise that Wiley Baxter had one day. He received a phone call finding out he was the father of twins who were in their 30s. With a story like that, I expected it to be focused mainly on this huge revelation and how it changed his life. However, this took up only the first few chapters and a mention of the end. This book was more like sitting down with someone and them telling you their life story. It could have used a lot more editing, because even with this being a mere 66 pages, there could have been several pages less if there were unnecessary words left out, examples being "The next day in the evening" instead of "the next evening" and "someplace called Kings Dominion" where "someplace called" is not needed -- it seems to diminish the experience instead of just using the proper noun. He stated that he was very sad the day his brother died. That is a common emotion when a family member dies, and I didn't feel it needed to be told. Because I love English and grammar, the writing style bothered me. 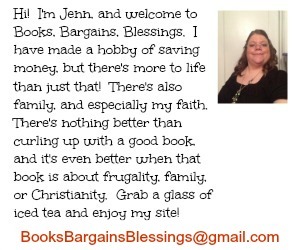 While for a personal letter it would be fine, I expect a book to be a bit more polished. There were a number of stories that I think could have been left out entirely. His sister having a Beatles wig when they were kids was irrelevant. Also, the mention at the end of his daughters, he says that one of his daughters quit having contact with him. There was no explanation of why. Since his daughter is living and has children, I feel like this should have not been included or this book should have only been available to people who know him. As a stranger, I felt like I was being given information that should be reserved for family. This book could have been interesting. If the final book would have been a rough draft, I would have said it has potential (except for the most interesting part being at the beginning. That might work for Frantz Kafka but not for Wiley Baxter.) I would have recommended this book either be a memoir in a bit more chronological order or been a book about learning he had twin daughters.